This is a scalable context timeline. It contains events related to the event February-August 2000: 9/11 Hijackers Alhazmi and Almihdhar Have Closed-Door Meetings with Al-Qaeda Imam in San Diego. You can narrow or broaden the context of this timeline by adjusting the zoom level. The lower the scale, the more relevant the items on average will be, while the higher the scale, the less relevant the items, on average, will be. A week after attending the al-Qaeda summit in Malaysia (see January 5-8, 2000), 9/11 hijackers Nawaf Alhazmi and Khalid Almihdhar fly together from Bangkok, Thailand, to Los Angeles, California. [MSNBC, 12/11/2001] The passports of both men have indicators of their terrorist affiliation placed there by Saudi authorities to track them (see March 21, 1999 and April 6, 1999), but the indicators are apparently not noticed by US immigration officials, as they have not been informed of their significance (see Around February 1993). [9/11 Commission, 8/21/2004, pp. 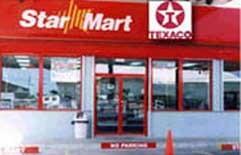 10 ] The CIA will later claim that it lost track of them when they arrived in Bangkok and that it did not receive notification from the Thai government that Almihdhar and Alhazmi entered the US until March 2000 (see March 5, 2000). However, Almihdhar will later tell 9/11 mastermind Khalid Shaikh Mohammed that he and Alhazmi think they were watched and followed from Bangkok to Los Angeles by unknown individuals (see Mid-July 2000). [9/11 Commission, 7/24/2004, pp. 181, 215] One San Diego friend of the two hijackers, Mohdar Abdullah, will later allegedly claim that he was told in advance they were coming to Los Angeles to carry out an attack in the US (see Early 2000). Abdullah in Closed-Door Meetings? - This other person may be Mohdar Abdullah. 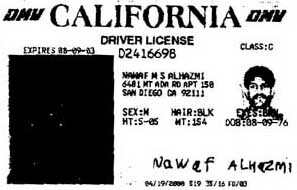 Interviewed after 9/11, Abdullah will claim that al-Bayoumi specifically asked him “to be the individual to acclimate the hijackers to the United States, particularly San Diego, California.” [9/11 Commission, 7/24/2004, pp. 513] Furthermore, one witness will later claim to have met Alhazmi through both al-Awlaki and Abdullah. [9/11 Commission, 7/24/2004, pp. 513] Abdullah may be told of the 9/11 plot in the spring of 2000 (see Early 2000), so presumably he could be a participant in secret meetings. 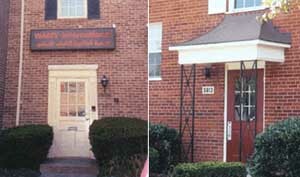 Hijackers and Al-Awlaki Reunite in Virginia - Around August 2000, al-Awlaki resigns as imam and travels to unknown “various countries.” In early 2001, he will be appointed the imam to a much larger mosque in Falls Church, Virginia. [Copley News, 10/1/2001] Alhazmi, Almihdhar, and fellow hijacker Hani Hanjour will move to Virginia and attend al-Awlaki’s mosque there (see March 2001 and After). By 2008, US intelligence will conclude that al-Awlaki is an al-Qaeda operative (see February 27, 2008). 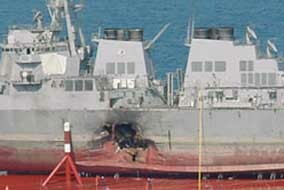 Damage to the USS Cole, shown in dry dock. [Source: US Navy]9/11 hijacker Khalid Almihdhar is in Yemen when the USS Cole is attacked in Aden harbor there (see October 12, 2000), and is reported to have had a role in the bombing. Almihdhar leaves shortly after the attack, together with al-Qaeda operative Khallad bin Attash. [McDermott, 2005, pp. 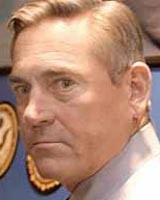 209] Bin Attash is quickly identified as one of the masterminds of the operation (see Late October-Late November 2000). 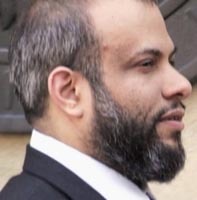 Almihdhar will subsequently be accused of participating in the operation by the prime ministers of Yemen and Britain (see Early October 2001 and October 4, 2001). The Yemeni militant group Islamic Army of Aden takes credit for the bombing, and a friend of Almihdhar in San Diego will later say that Almihdhar told him he was a member of that group (see Early 2000). The Cole attack was a repeat of a failed attempt to bomb the USS The Sullivans (see January 3, 2000), of which Almihdhar had foreknowledge (see Late 1999). Almihdhar, who trained with the Cole bombers (see Late 1999) and attended an apparent planning session for the operation (see January 5-8, 2000), may also be involved in a later ship-bombing operation in Singapore (see June 2001). Ramzi bin al-Shibh, a close associate of the hijackers, also leaves Yemen around this time and is also suspected of involvement in the bombing (see October 10-21, 2000). Ali al Timini. [Source: Fox News]Shortly after 9/11, the FBI begins to suspect that Anwar al-Awlaki, an imam to several of the 9/11 hijackers, may have had some connection to the 9/11 plot. They interview him repeatedly, but cannot find enough evidence to charge him, and he cannot be deported since he is a US citizen. Investigators discover he had been arrested more than once for soliciting prostitutes. They learn he is consorting with prostitutes in Virginia, and contemplate jailing him on an obscure law against transporting prostitutes across state lines. However, this plan collapses when he leaves the US unexpectedly in March 2002. [US News and World Report, 6/13/2004] But on October 10, 2002, he makes a surprise return to the US. His name is on a terrorist watch list and he is detained when his plane lands in New York City. Customs agents notify the FBI, but they are told that his name was taken off the watch list just the day before. He is released after only three hours. It has not been explained why he name was taken off the list. Throughout 2002, al-Awlaki is also the subject of an active Customs investigation into money laundering called Operation Greenquest, but he is not arrested for this either, or for the earlier contemplated prostitution charges. [WorldNetDaily, 8/16/2003] At the time, the FBI is fighting Greenquest, and Customs officials will later accuse the FBI of sabotaging Greenquest investigations (see After March 20, 2002-Early 2003). 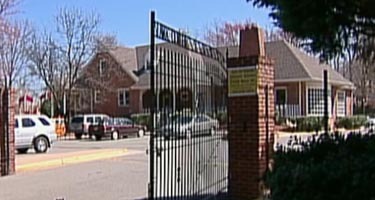 While in the US, al-Awlaki visits the Fairfax, Virginia, home of Ali al Timimi, the leader of a nearby Islamic center. According to a later court filing, al-Awlaki attempts to get al Timimi to discuss the recruitment of young Muslims for militant causes, but al Timimi does not show interest. Al Timimi will later be sentenced to life in prison in the US for inciting young Muslims to fight in Afghanistan shortly after 9/11. [Washington Post, 2/27/2008] Al-Awlaki then leaves the US again. The FBI will later admit they were “very interested” in al-Awlaki and yet failed to stop him from leaving the country. One FBI source says, “We don’t know how he got out.” [US News and World Report, 6/13/2004] He will allegedly take part in other militant attacks (see September 15, 2006). By 2008, US intelligence will conclude that he is linked to al-Qaeda (see February 27, 2008). Justice Department Will Not Delay Deportation to Help Investigation - In late 2003, new evidence emerged that Abdullah may have had foreknowledge of the 9/11 attacks. But US prosecutors decided not to charge him based on that new evidence, and the Justice Department does not even try to delay his deportation to allow investigators time to pursue the new leads (see September 2003-May 21, 2004). In early September 2006, Anwar al-Awlaki is arrested in Yemen at the request of the US government. 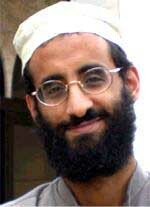 Al-Awlaki served as imam to several of the 9/11 hijackers when they lived in the US (see March 2001 and After). [Australian, 11/4/2006] However, al-Awlaki is released in December 2007. The US was limited in how much it could pressure the government of Yemen to keep holding him, because he has never been formally charged with any crime. In a taped interview shortly after his release, he claims that while he was imprisoned in Yemen, he was interrogated by the FBI multiple times and asked about his dealings with the 9/11 hijackers. [Washington Post, 2/27/2008] According to the New York Times, “by the end of 2007, American officials, some of whom were disturbed at the imprisonment without charges of a United States citizen, signaled that they no longer insisted on al-Awlaki’s incarceration, and he was released.” [New York Times, 5/8/2010] By February 2008, just two months after US officials approved his release, US intelligence will conclude that al-Awlaki is linked to al-Qaeda (see February 27, 2008).